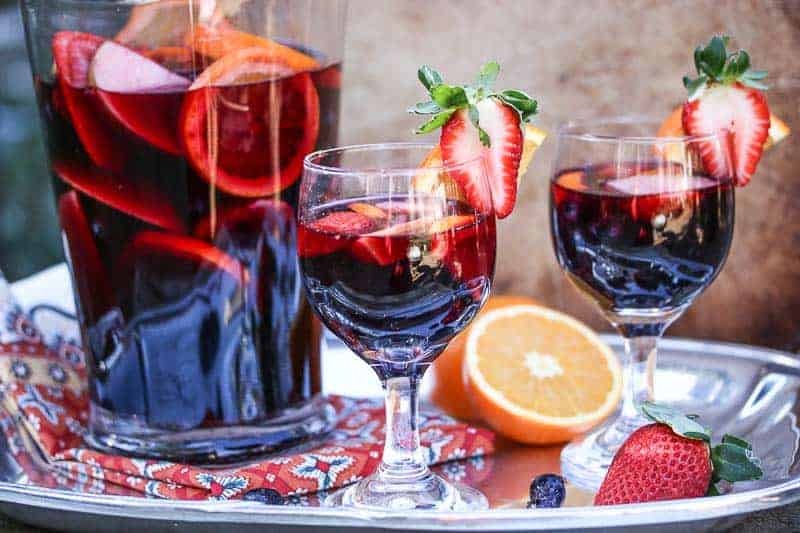 This Spanish inspired Sangria with Blueberries and Strawberries is light, fruity, refreshing, and not overly sweet. The beautiful mixtures of fruit and colors make in this Pomegranate Sangria makes this the ultimate entertaining drink. ¡Salud! My Best Friend and I celebrating my City View Article. I was fortunate again to be asked to write an article for City View Magazine in Fayetteville, NC. It was a very proud moment to see my photos and writing in such a beautiful, well-designed magazine. I was so excited to have another opportunity. This article theme was Tapas. Tapas are Spanish derived small plates of food served with drinks. The Spanish culture use a verb called taper which means to go from bar to bar for drinks and eating tapas. Therefore, Sangria was the perfect recipe to begin my article with. I wanted to create something a little different than the typical red wine Sangria recipe, so I added the Pomegranate Juice to give it a little punch. The result was perfection. My Pomegranate Orange Sangria has bold, fruity flavors, with a perfect balance of tart and light sweetness. 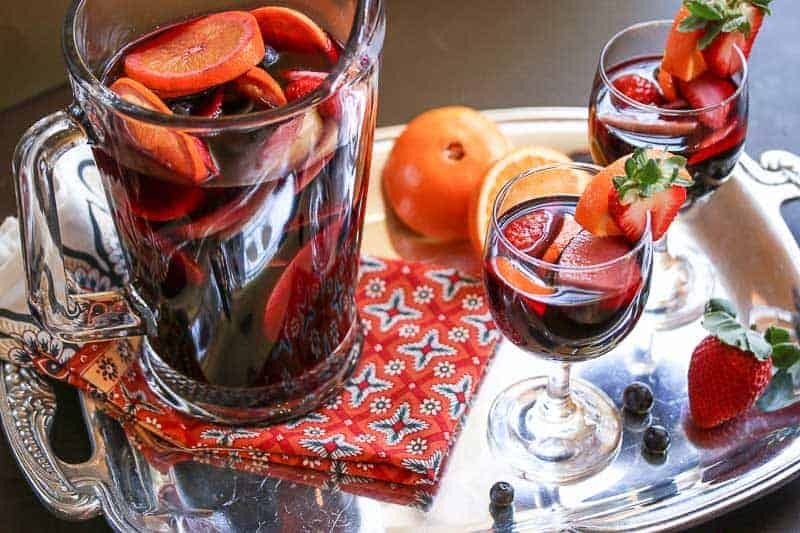 This is not the typical sweet sangria. If you prefer a sweeter sangria, use a sweeter wine. Acquire an inexpensive red wine that offers fruity flavors and aromas. Avoid the expensive, older, complex wines because they are often too delicate for mixing. I had so much fun writing this article. Who doesn’t like an excuse to drink and eat? 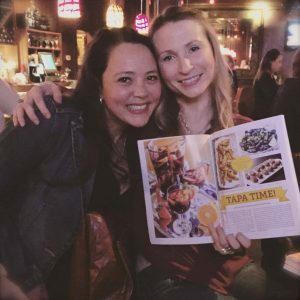 You can check out my full article “Tapa Time” here at City View. In it you will find my Tapas themed recipes: Mussels with Sofrito, Moroccan-Style Roasted Potatoes, Bacon Wrapped Dates Stuffed with Manchego, and Spanish Garlic Shrimp. I also recommended three amazing Tapas Restaurants to visit here in NC. Be sure to check out the article. I will be including the Tapas recipes to my blog, so stay tuned!!! Meanwhile, grab a pitcher and chop some fruit! That Pomegranate Orange Sangria isn’t going to make itself! You have some drinking to do! Invite some friends over and have a party! Cheers! If you like this pomegranate orange sangria recipe, check out: Bourbon Slush, Gia in Greensboro, and Granny Moore’s Dressing. This Spanish inspired pomegranate Sangria is light, fruity, refreshing, and not overly sweet. It is easy to make and absolutely delicious! 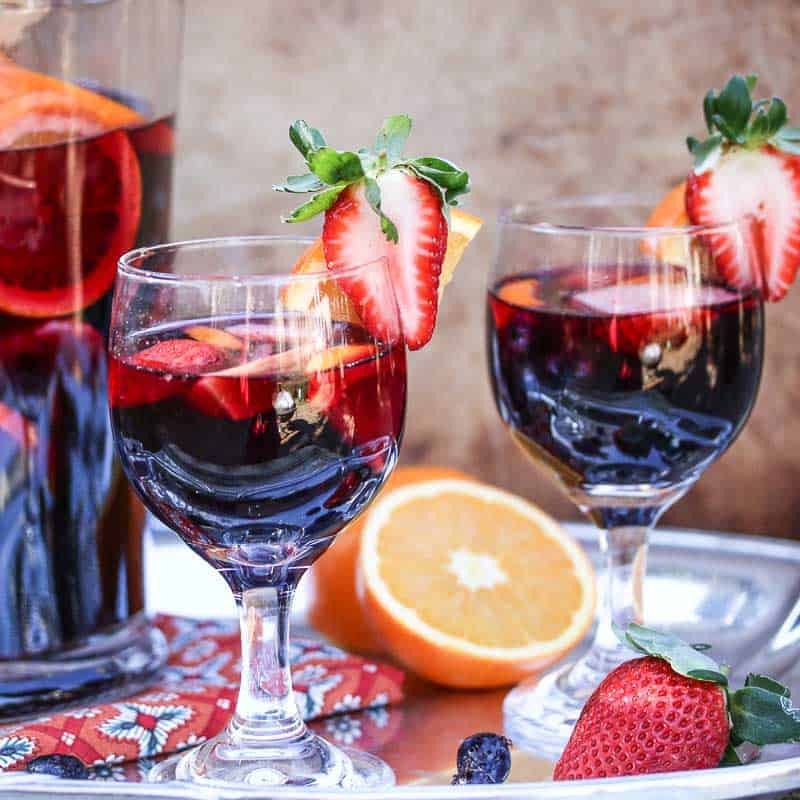 Not only will you be drinking, but you'll also indulge in the fruits added to the sangria. Cook sugar and water over medium heat until it reaches a boil to create simple syrup. Cook and stir simple syrup until sugar is fully dissolved. Set aside to allow to completely cool. Combine and mix red wine, brandy, cooled simple syrup, and pomegranate juice in a large pitcher. Add apples, oranges, and strawberries to the Sangria mix. Refrigerate for at least 2 hours or for best results, refrigerate overnight. When ready to serve, add club soda to Sangria. « Win Tickets to See Alton Brown Live! This looks delicious. 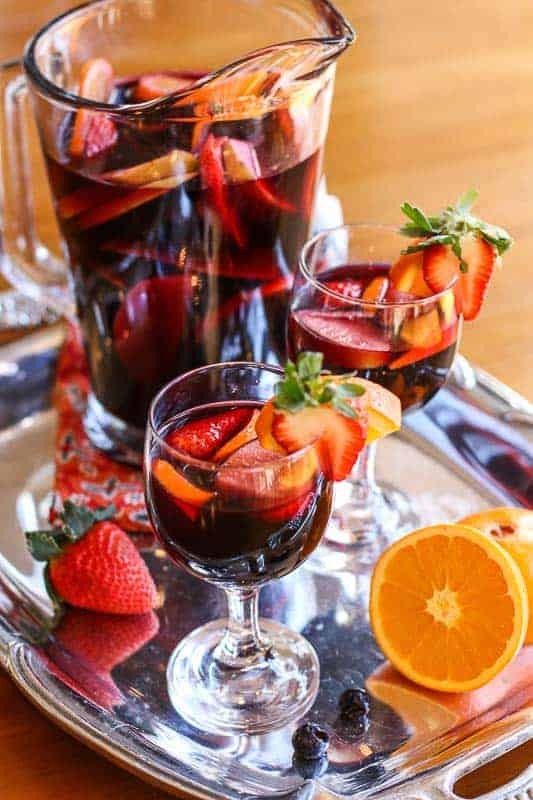 I love sangria (my sister makes a great red sangria) and will be wanting to try something new for the summer. This recipe looks to be perfect for just that! Congratulations on your feature – that’s so awesome! I’m definitely heading over to read it. 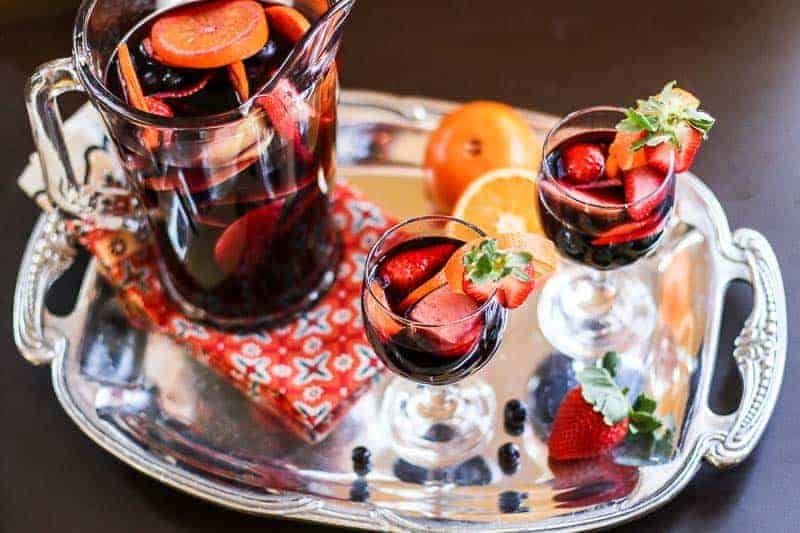 And wow, what a great Spanish spread 🙂 I’m with you though, I’d definitely start out with this sangria – and I love that it uses pomegranate juice. Superfood and flavor-packed! Also love that it’s not an overly sweet one – I want to taste the ingredients, not just sugar 😉 Cheers and have a wonderful weekend! Congrat`s Katie on the article!! 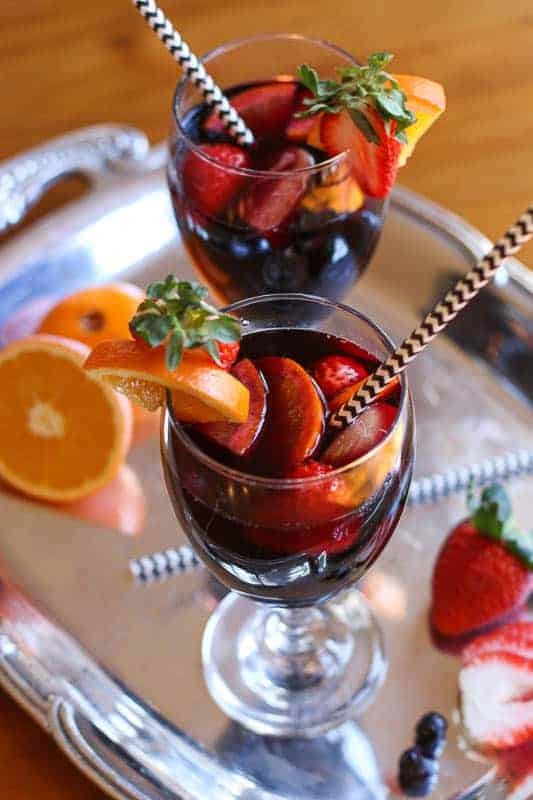 Your pic`s are beautiful & I`ll be serving your Sangria this weekend. Looks fantastic!